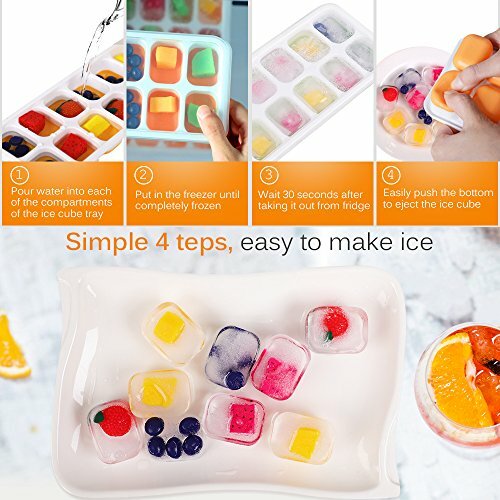 Kootek 4 Pack Silicone Ice Cube Trays with Lid. 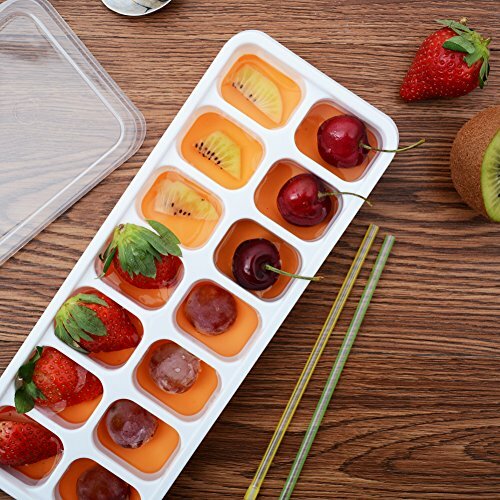 It's hot in summer, but there's a simple way to beat the heat this summer, enjoy a cold drink if you have a ice cube trays. 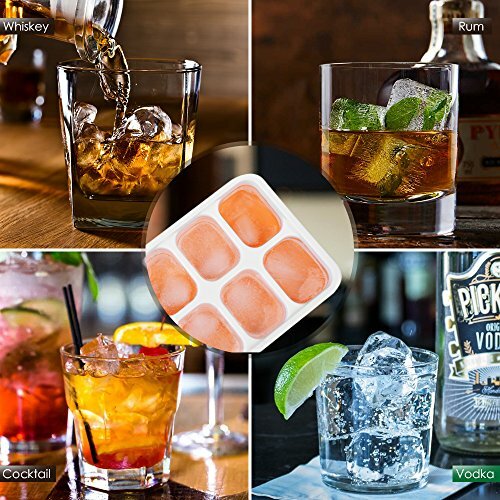 Kootek silicone ice cube trays can help you get the cube ice easily, their pliable nature meant you could pop out ice cubes with relative ease. No longer will you have to break your tray to get your ice, simply push the bottom of the tray and your ice will slide right out. Food-Grade Material - Made of 100% BPA free food grade material, ensures the drink/food safety for you. Each tray makes 14 nice-sized (1.18x 1.57x 0.9inch) cubes for a total of 56. 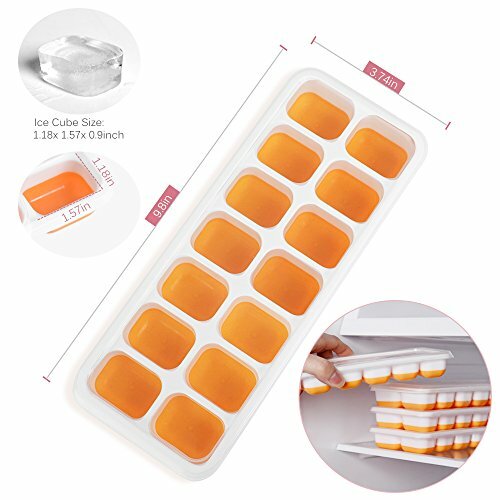 Easy Release Ice Maker - Soft silicone bottom helps you release them easily, just simply push the bottom of the tray and your ice will slide right out. 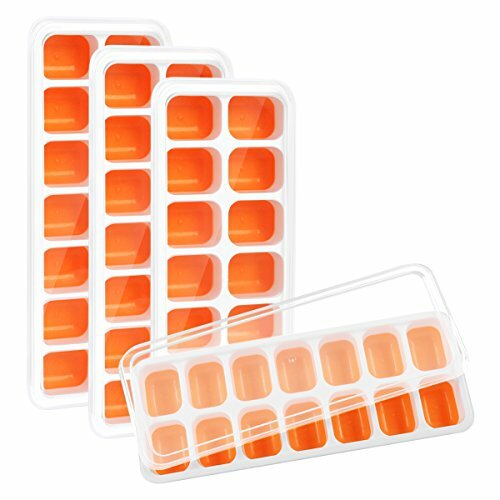 Removable & Stackable Lid - Flexible 14-ice trays with spill-resistant removable lid, which helps keep the freezer smell/taste out of the ice cubes and save space. 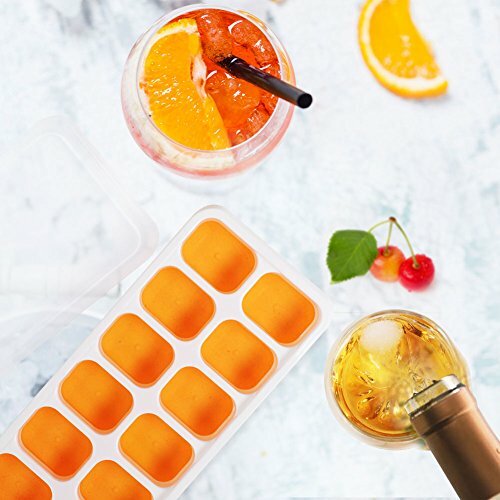 Multipurpose - Not only to chill drinks, can also be used to make all kinds of summer delicacies, such as popsicles, puddings, fruit jellies, chocolates and cakes, great ice molds for children and adults. Lightweight & Durable - Dishwasher safe. 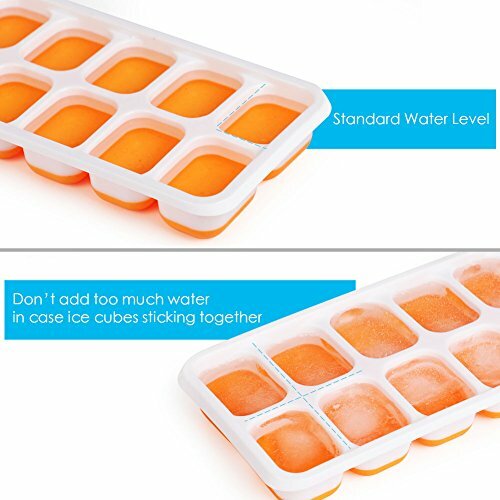 Easy-to-fill and helps you make perfect shaped cubes. Perfect to chill cocktails, whiskey, tequila, vodka, juice or other food cooling.